Sharons wealth of experience (both ridden and coaching) and the facilities at Darshams Farm, make schooling of horses of a high standard. Alongside the well trained and experienced staff on the yard who will provide the day-to -day care of resident horses. Bespoke packages can be discussed. 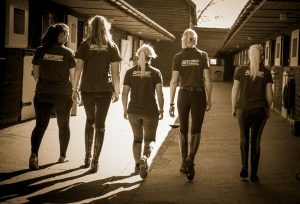 The team at Sharon Hunt Eventing pride themselves on their team ethos. Sharon overseas the daily running of the yard, the team is hard working, enthusiastic and is made up of individuals with varying experience and responsibility. Sharon is keen for staff continued professional development and actively encourages training. 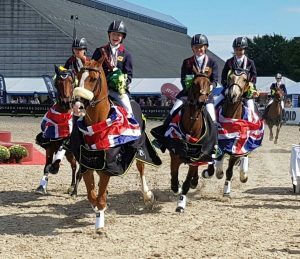 As well as the daily running of the yard, members of the team travel to competitions with Sharon, this can be locally, nationally or internationally. We also have availability for Work Experience Students throughout the year. Sharon’s wealth of experience and expertise in managing event horses, plus the support and dedicated approach of her experienced team, combined with the wonderful range of facilities available at Darsham’s Farm make it an excellent place for horses requiring respite. For each horse an individual rehabilitation programme is undertaken and progress is closely monitored. 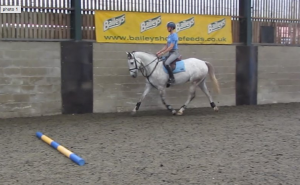 This could range from providing the horse with a duration of rest and relaxation, to gradually increasing walking, trotting and cantering activities. As well as superbly maintained indoor and outdoor schools, gallops, a covered horse walker and lunge pen, we also have a Zamar (Ice Therapy) unit, Laser machine, an Arcequine Microcurrent device, magnetic boots, a close relationship with Rossdales Equine hospital in Newmarket and a farrier with vast experience in remedial shoeing as required.